Marty McBubble will amaze you with his incredible bubble creations and the scientific wonders that make them possible. 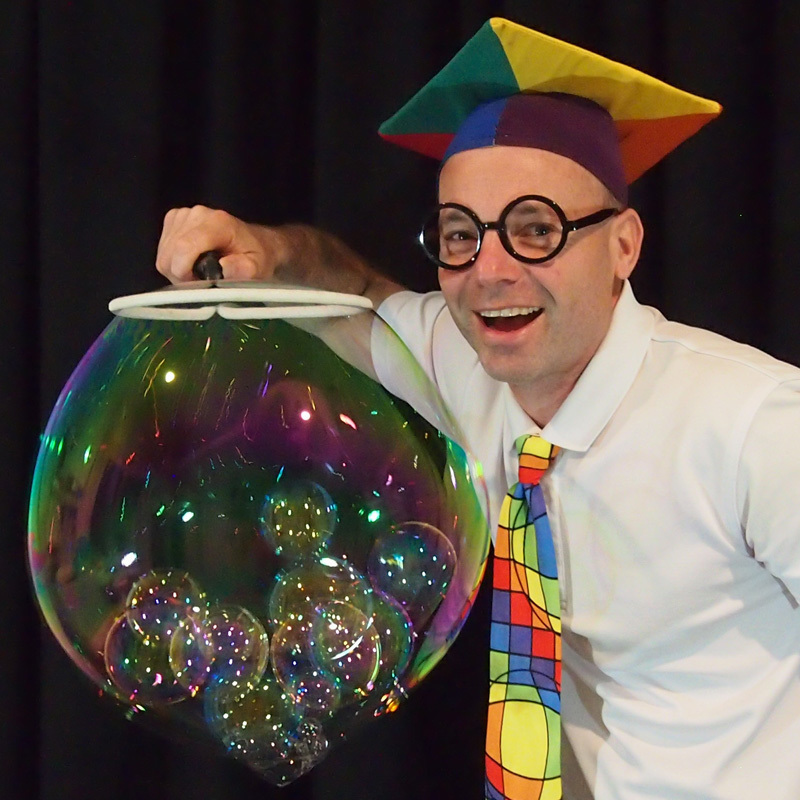 With quirky gadgets and lots of comedy Marty will create bubble rockets and volcanos, bubble cubes and carousels, bubble caterpillars and ice-cream, put children inside giant bubbles, and much more. Along the way he'll explain concepts like surface tension, flexibility, iridescence, transparency, gravity and the properties of solids, liquids and gases. And all in air-conditioned comfort at Burnside Community Centre. Get Ready for Bubbles! Get Ready for Science! Get Ready for Fun!